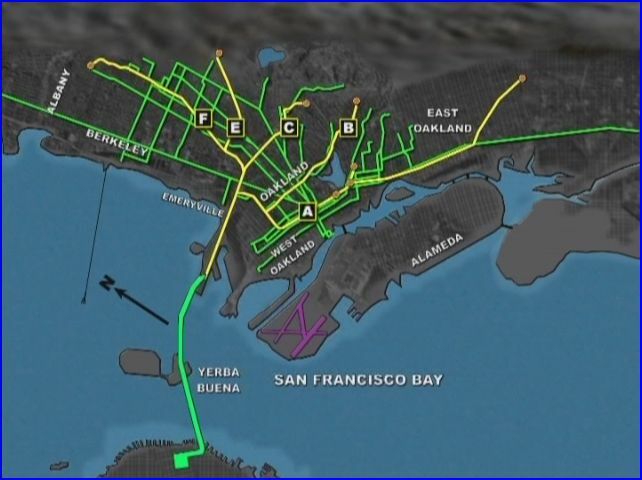 Locations: Oakland and San Francisco metro. a bit more..
Sources: Sixteen. Digitally restored, enhanced. This is the second part of a detailed look at the Key System. Please refer to Volume One review for even more information. 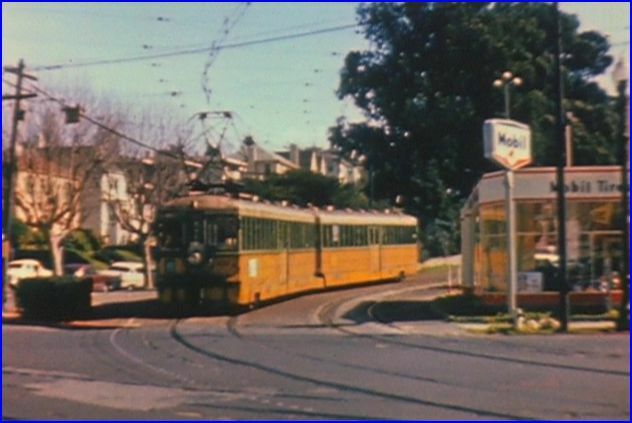 Pre 1958 electrified transit line that offered commuter service. Oakland to San Francisco and points in between. 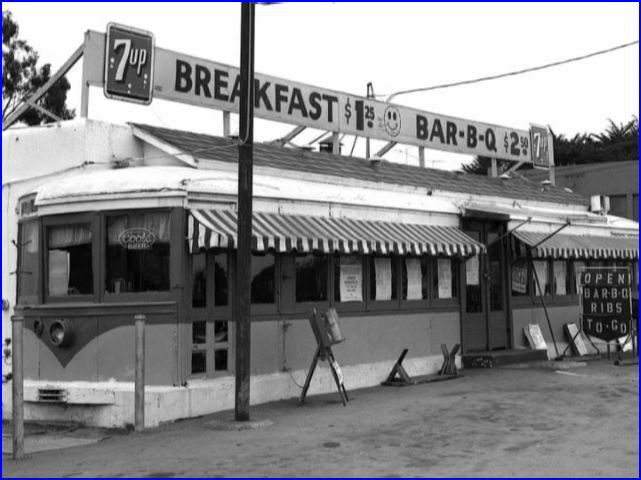 Service ended in 1958. The increased use of automobile and city bus service foretold the end of this old carrier. When you see the streetcars jammed in with the congested traffic, you will understand. Compare this to earlier views in Volume One. Very high quality presentation as you would expect from a Charles Smiley Presents program. Digitally restored film, synced sound and informative narration. Extensive use of his trademark, custom-made maps are always a big plus on a CSP show. Have included a map below. Outstanding for the era and surprising for the full coverage…all color film. 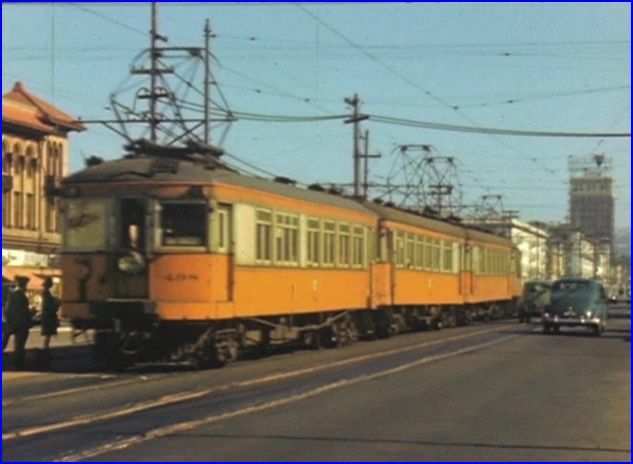 We start in San Francisco on the Key and get a view of some Muni streetcars. The Muni are still in business. 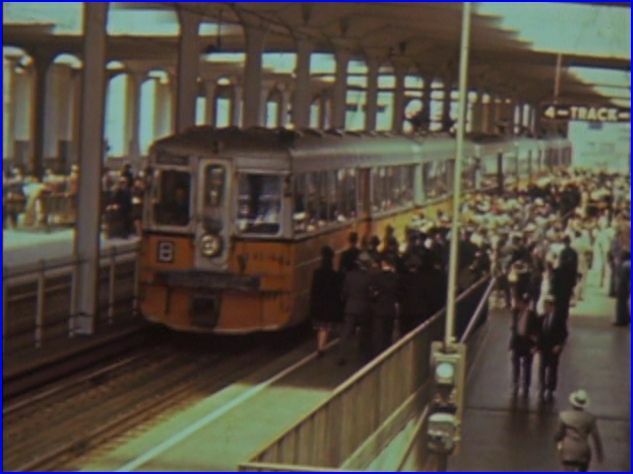 A 1957 ride on the lower deck of the bay bridge and into SF Trans Bay Terminal is good. An extended discussion of the terminal and the film is very well done. The time machine effect from the first volume continues, in this show. 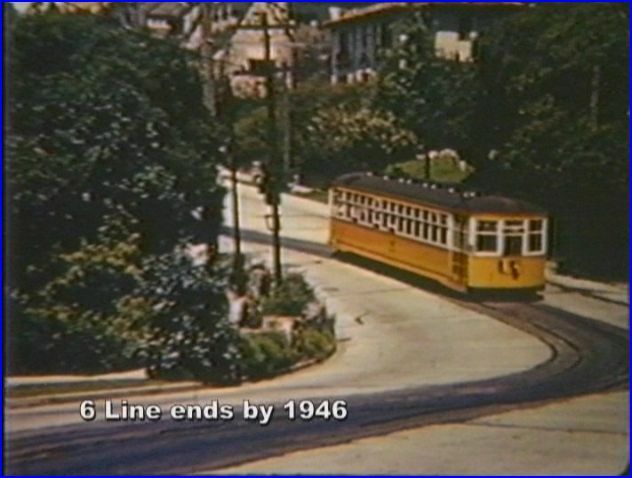 There is extensive film of the Oakland area A- F, the designated lettered lines. Those lines are under a magnifying glass in this volume. I was amazed at the level of coverage shown here. Seems like you get to view the entire line. Street views, private right-of-ways, yards, freight, station, and subway are shown. A supply of some black and white photos round out the imagery. The honor roll for World War Two participants, was a surprise. There are many surprises. For those familiar with the area, many, many classic old scenes, that will only resemble the current city. I just love witnessing, the way we were. Fascinating! Black and white still photos augment the historical discussions. Freight action. 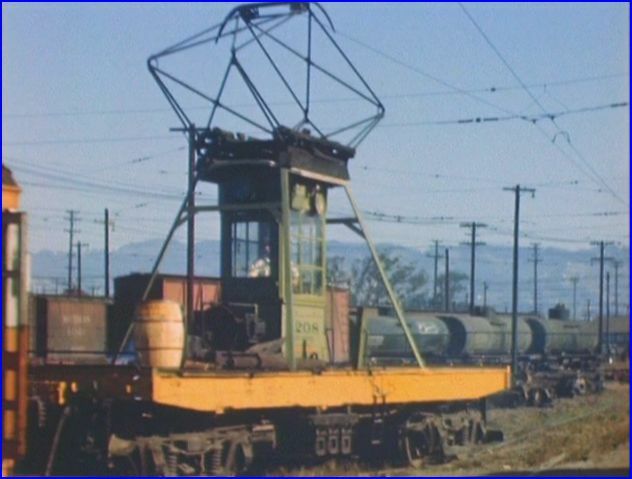 Sacramento Northern and Oakland Terminal street operations. A black Western Pacific switcher on freight duty. Excellent segments. For those that feel that Charles Smiley deviates with sometimes expansive coverage of not just a railine, but of an era, they will prefer this show. It is focused on the local transit. 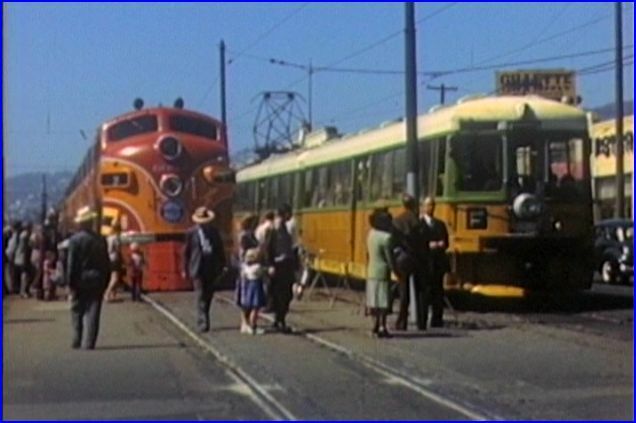 Cameo appearances of: Santa Fe, Southern Pacific and Western Pacific streamliners, in new condition, engaged in street running and station operation. Cool footage! 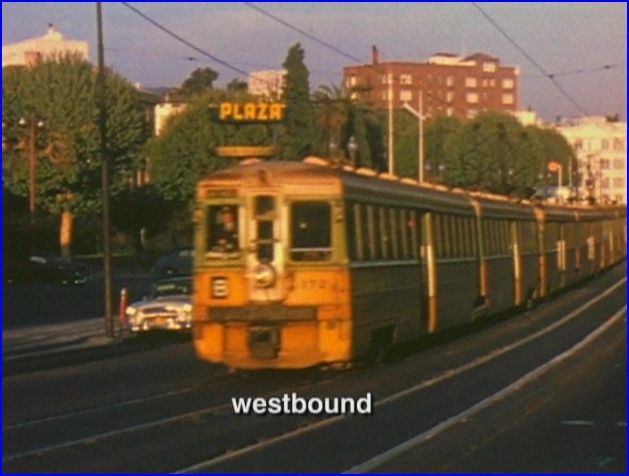 Interurban, trolley and traction fans and anyone that likes to watch old street footage will love this program. It does take a couple of volumes to pack everything in a very complete look at the Key System. He even closes with a comparison of a contemporary look at the area. I would recommend the first volume as it lays a solid foundation for this complete overview. If your store has this one on shelf, no worries. It is solid as a stand alone show. By the way…. I am more interested in regular railroad operations by nature and habit. 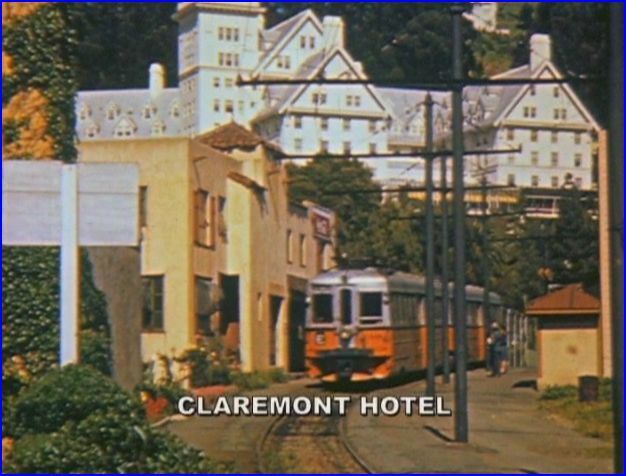 Wondered if a ‘trolley/ interurban’ series of programs would, float my boat. The answer is a resounding.. Yes, it does make for enjoyable viewing. Transit is different, but still is fun. 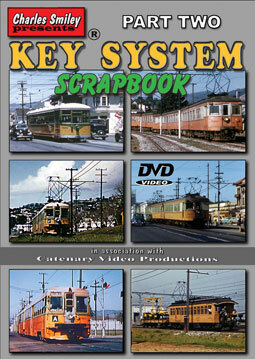 Key System Scrapbook Part Two is a fascinating show. 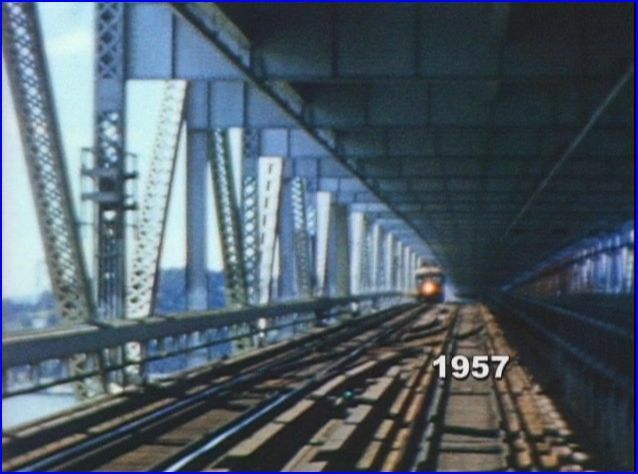 This entry was posted in ATVR Reviews, Charles Smiley Presents and tagged American Train Video Reviews, California, electric, Santa Fe, Southern Pacific, Train DVD, transportation, trolley, Western Pacific by William J. Hudson. Bookmark the permalink.